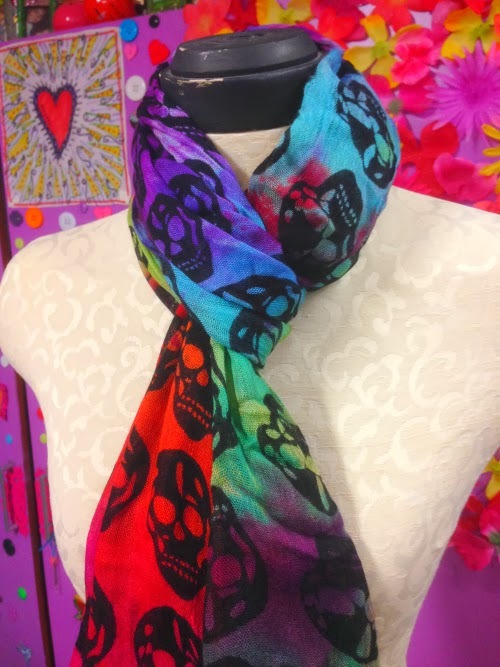 I've been seeing these skull scarves pop up everywhere and when I finally received one, I didn't want it to look like everyone else's. And that's when my crafty skills came into play. 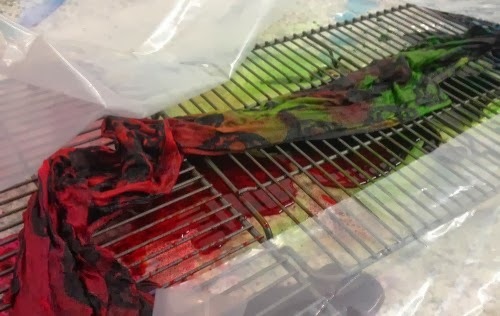 The scarf is cotton so I knew it would take dye beautifully. 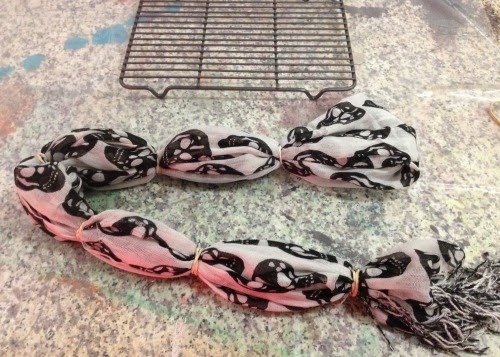 I brought the scarf with me to the iLovetoCreate studios last week when I was there working on the Crafty Chica line. I noticed they had a bucket of Tulip One Step Dye already prepped that had been left over from a previous project that day. So instead of going for one color, I went with as many as I could fit on the scarf! Pre-wash your scarf, leave it damp. Band it up in sections and place it on top of a rack. 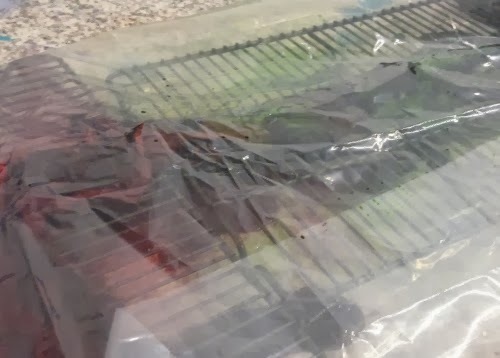 This is important so the dye won't spread too much. 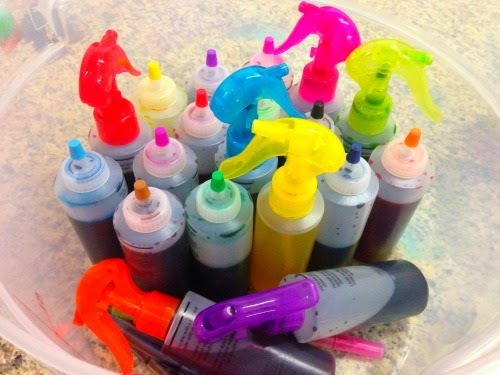 Apply the dye, a different color for each section. Make sure it is fully saturated. 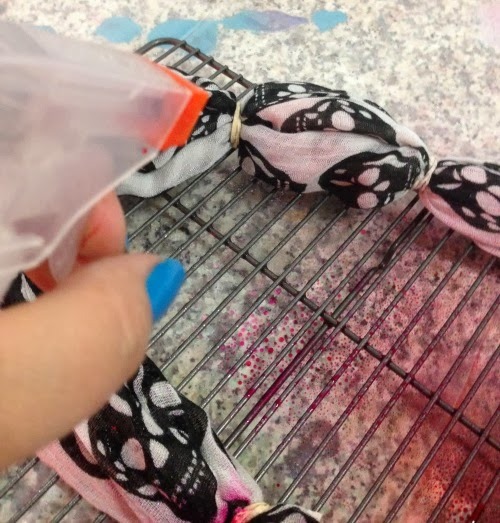 Next, wrap it in plastic to keep the moisture retained so the dye will penetrate. Let it set for six hours, then wash it in cold water in the machine. Hang dry. 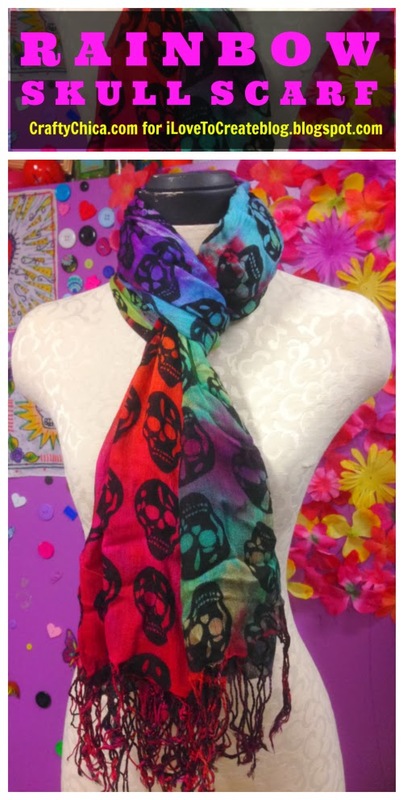 Next, you'll have a gorgeous, vibrant scarf full of life and color! beautiful! can it be washed?